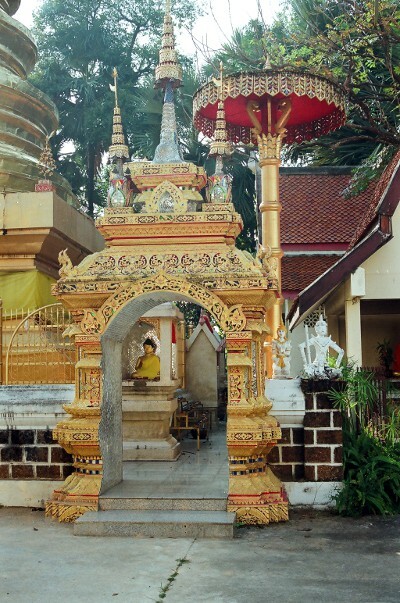 The Wat Nantaram temple in Chiang Mai city (Northern Thailand). 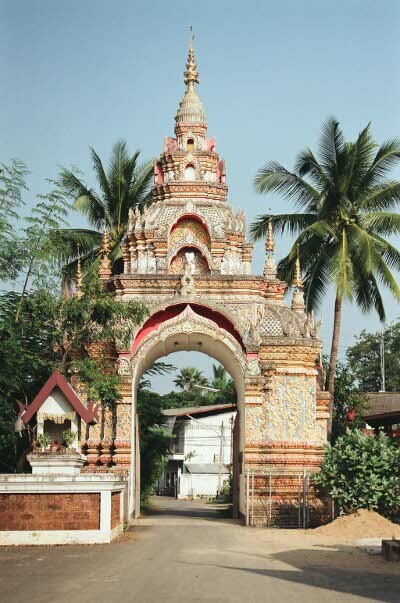 The Wat Nantaram is situated outside the Chiang Mai moats, next to the cultural centre of the old city. Its specificity is to have magnificent gates. Nikon F50, lens 28/80mm This door gives access to the temple. Nikon F50, lens 28/80mm The cemetery. 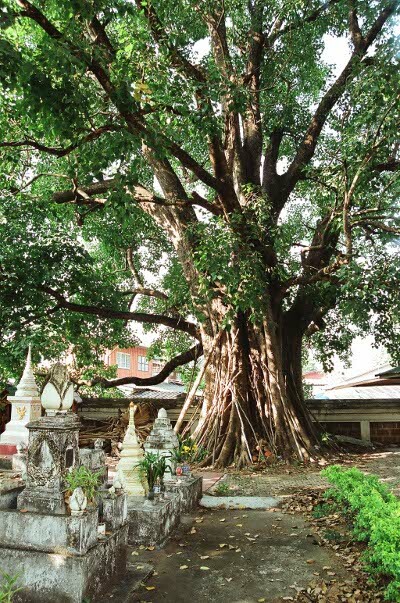 Nikon F50, lens 28/80mm Access to the chedi.